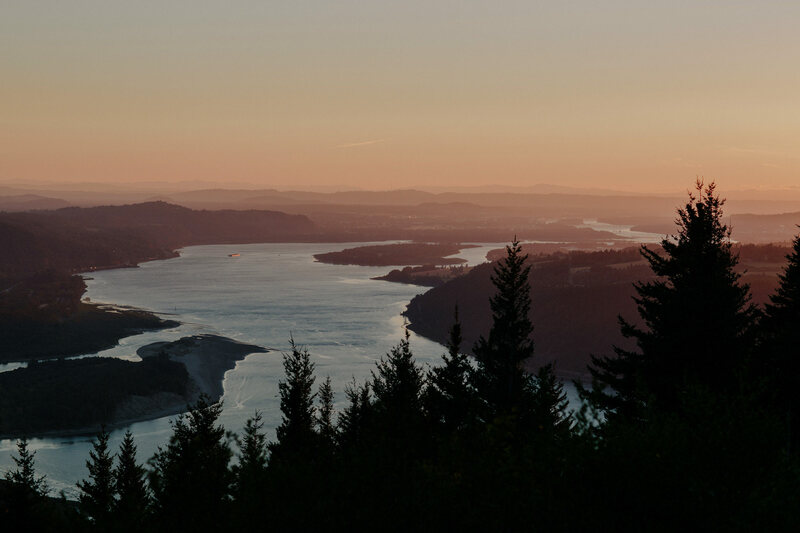 As a photographer, a hiker and an Oregonian, the last few days have been some of the hardest. 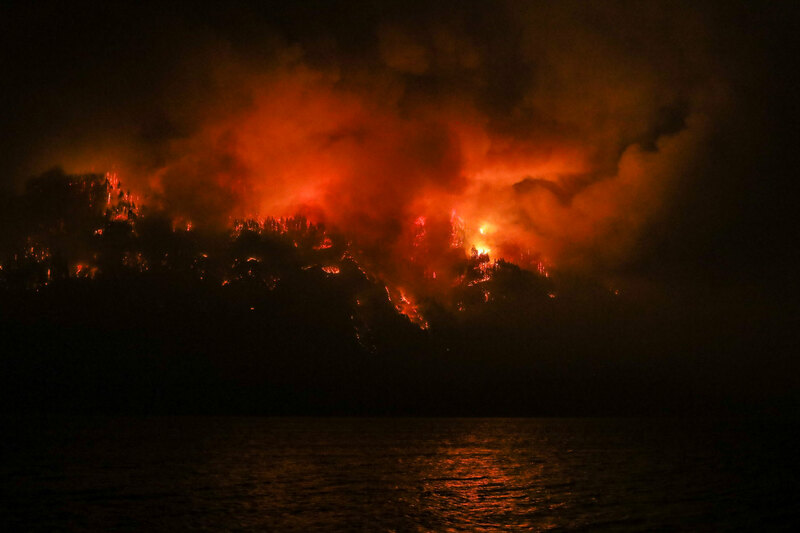 On Saturday, September 2nd the Eagle Creek Fire was started in the Columbia River Gorge supposedly by teenagers playing with fireworks and smoke bombs. 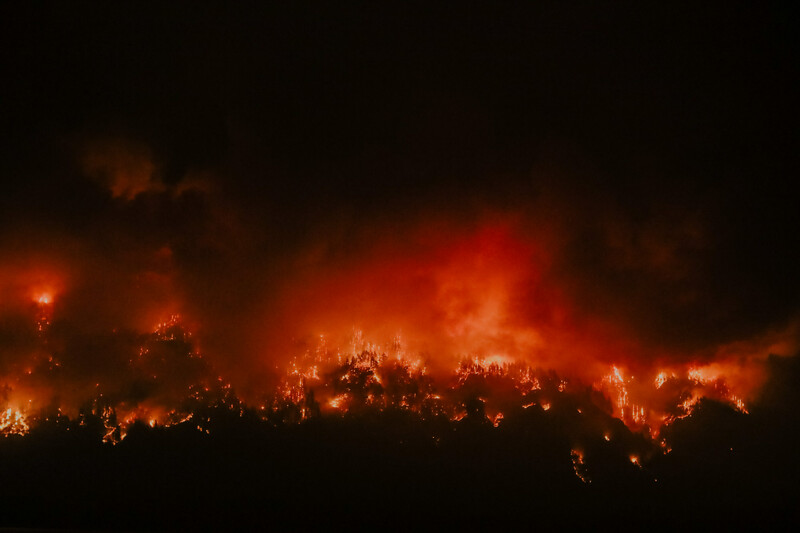 It’s said that the kids were throwing them off the cliffside of Eagle Creek Trail to the dry brush, hundreds of feet below, when the fire broke out. 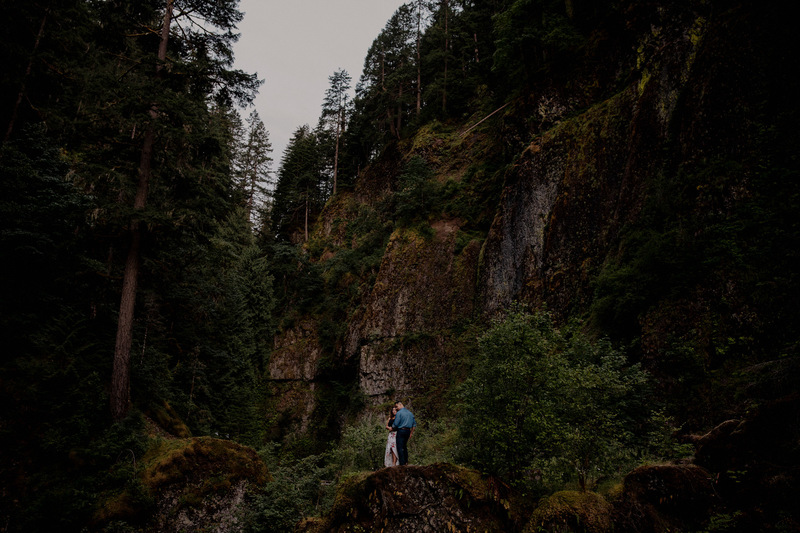 Eagle Creek Trail is one of, if not the most, popular hike in the gorge and for my wife Emily and I, it’s been one of the first places we take anyone who comes to visit us in the Northwest. 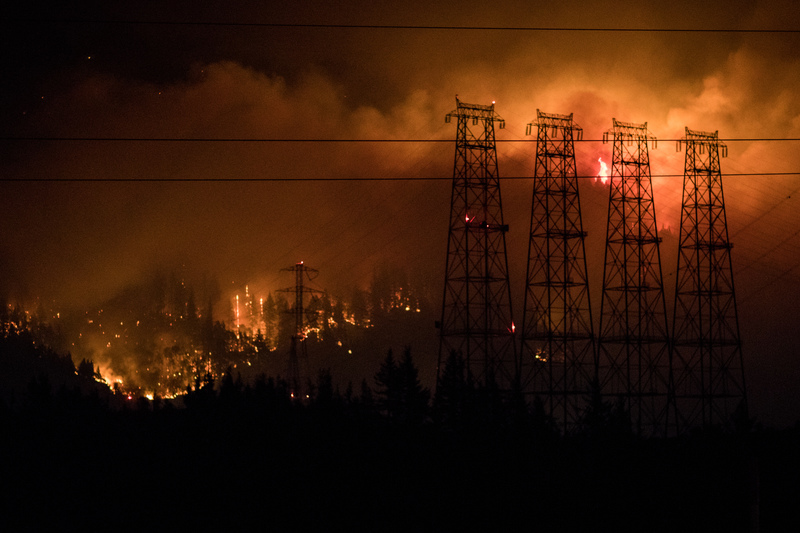 By Sunday morning, September 3rd, the fire had grown to around 3000 acres. 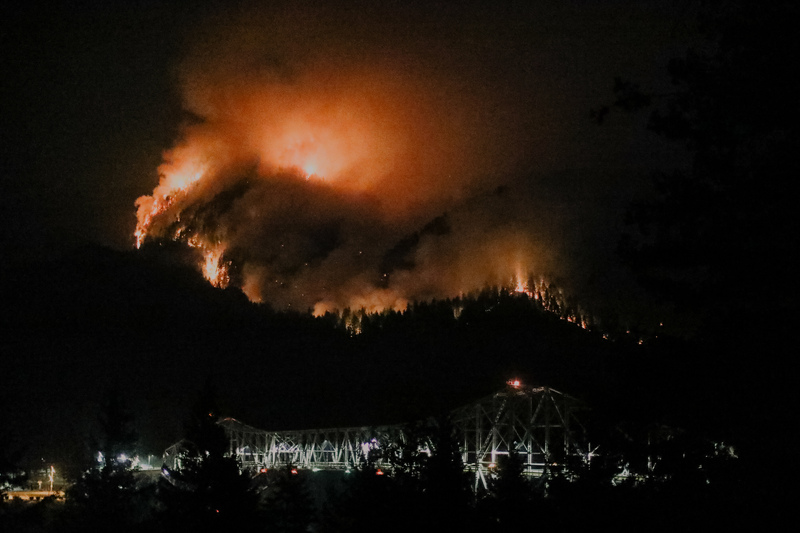 Westward winds pushed the fire 12 miles west towards Corbett, Oregon overnight on Sunday to consume almost all of the Historic Columbia River Highway. 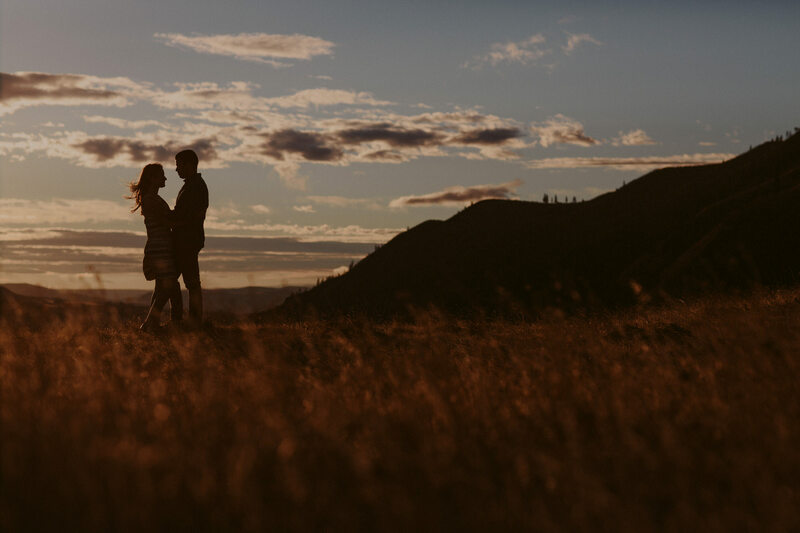 I was out that night watching this sacred place burn from across the Columbia River in Washington and some of the photos below are what I captured that evening. Now several days later, the blaze is still zero percent contained, has grown to around 31,000 acres and is moving southeast due to the shift in winds. 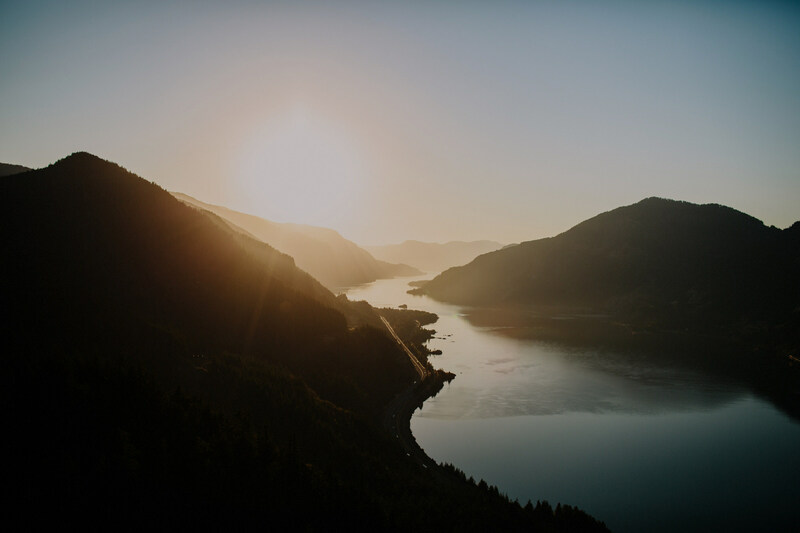 I’m writing this to inform local photographers about which Columbia River Gorge trails have been burned or affected by the Eagle Creek Fire. 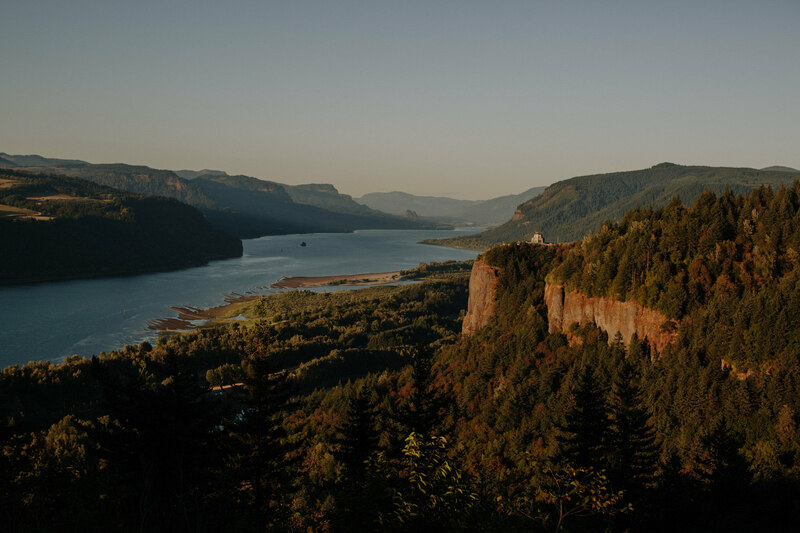 This is an area that is dear to all of us who cherish the outdoors and it’s one of the most photographed areas in the Portland area. 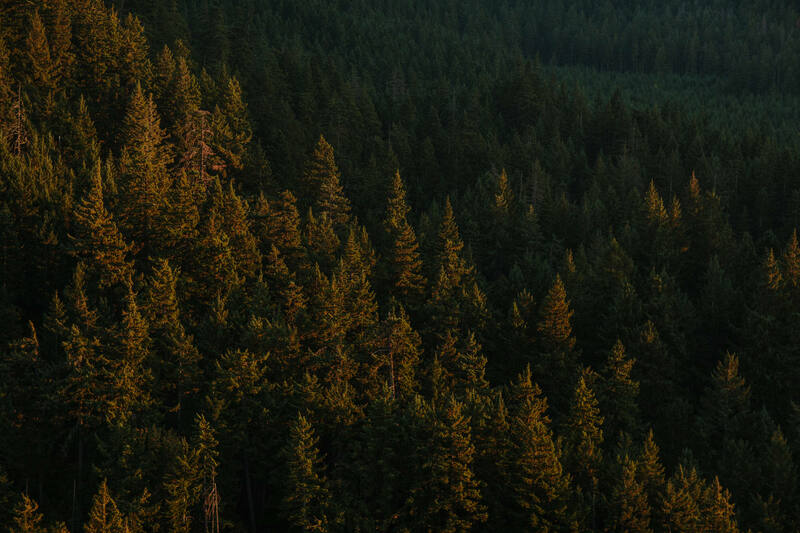 These forests will grow back of course, but even that doesn’t help the hurt that most Oregonians are feeling right now over this unfortunate situation. I walk these trails almost weekly. This is where my family and friends spend our weekends. No matter how positive we shift our minds to focusing on the regrowth in the future, it doesn’t help the pain we feel right now. 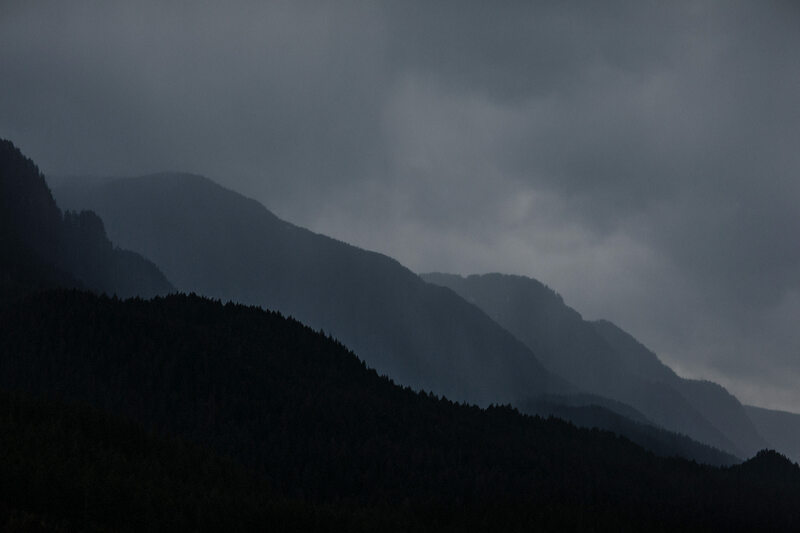 This is a time for anyone who has found refuge in these mountains, who has made incredible memories amidst these waterfalls or calls this place home in some way to allow yourself to feel whatever you need to feel. This is a huge loss for us. Personally, most of my shoots take place on these trails and we are now looking at years of regrowth before these trails are anywhere near the beauty that they were. 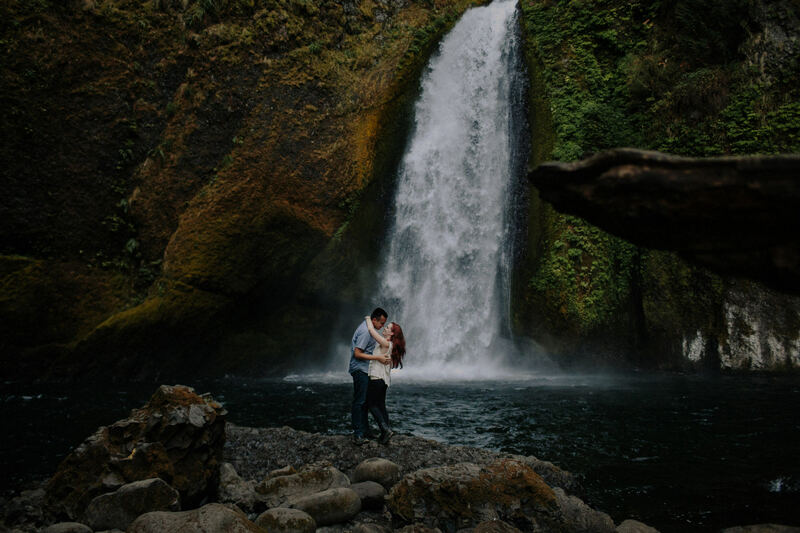 I’ve photographed couples getting engaged on these cliff sides, celebrate anniversaries on these ridges and get married or elope at these waterfalls. I have various good friends who are on the ground fighting the blazes and giving daily updates. Below is a list of the specific trails that have been directly affected so far. Most of them have been completely burned but a few of them have only been partially. To what degree, we don’t know of course yet and more than likely won’t until these roads and trails open back up. I have been told there are still some small areas of green throughout in various spots. As of this morning, the fire had made it’s way to the Latourell area but for what I have been told, Latourell Falls Loop Trail has not been affected yet. The Vista House and Women’s Forum are still clear as well. 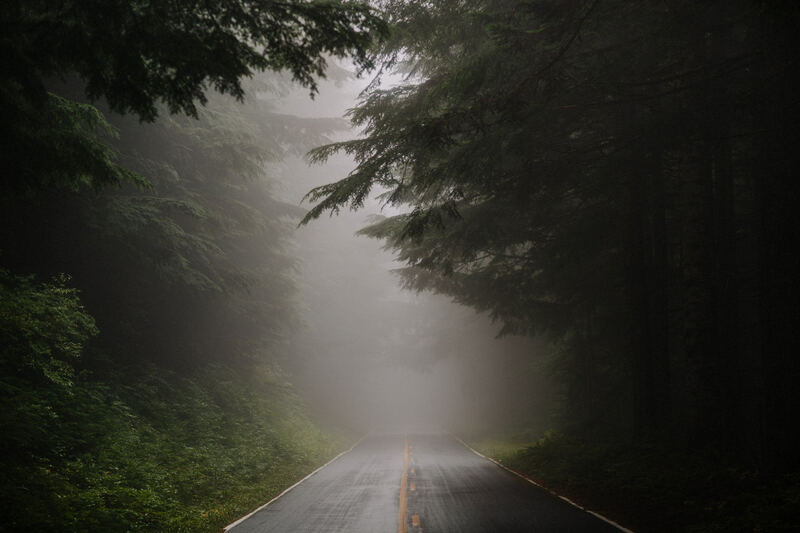 If you are a photographer and ever looking for additional locations, especially now, to photograph around the Pacific Northwest, feel free to drop me a message on Instagram (@robertjhillphotography) or on Facebook as I’d love to give some suggestions that have been incredible for me. 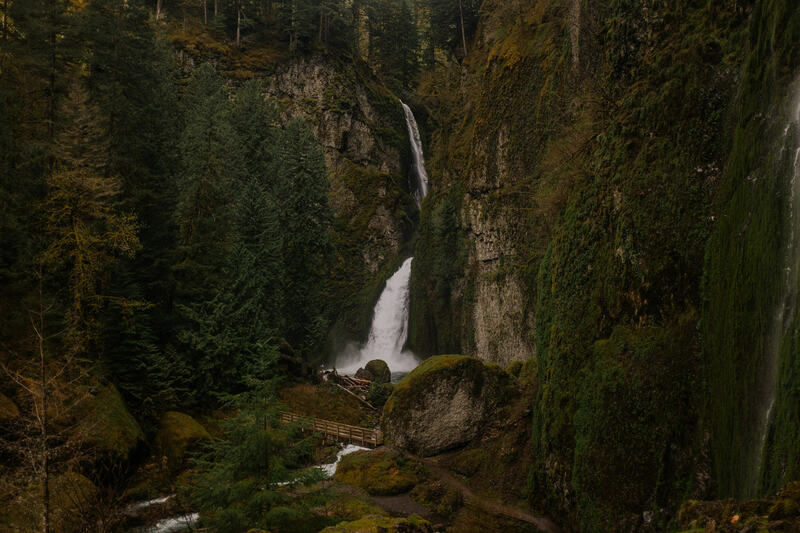 New images of Multnomah Falls are being released by the Willamette Weekly showing that there is still some green left. Find more information by clicking here. 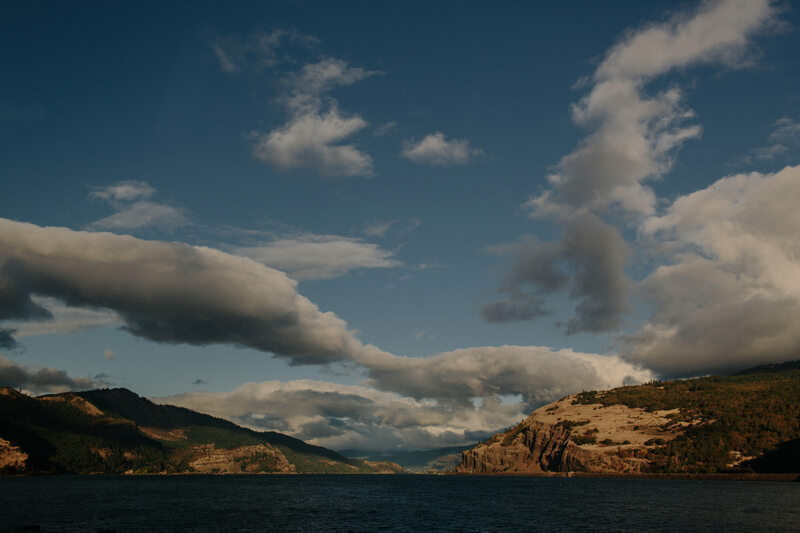 The Columbia River Gorge won’t ever be the same again, but it will regain it’s beauty. Our fire fighters are giving everything they have right now so continue to lift up your energy to whoever you pray to. It’s soon going to be time to forge new paths, pioneer again be far more intentional with the respect we have for the earth. We must teach and inspire each others and the children of our world to care for our planet or we will see more of it burn soon. This is a magical place that holds and gives more than most people realize. Although it hurts to see it fall, she will stand again. 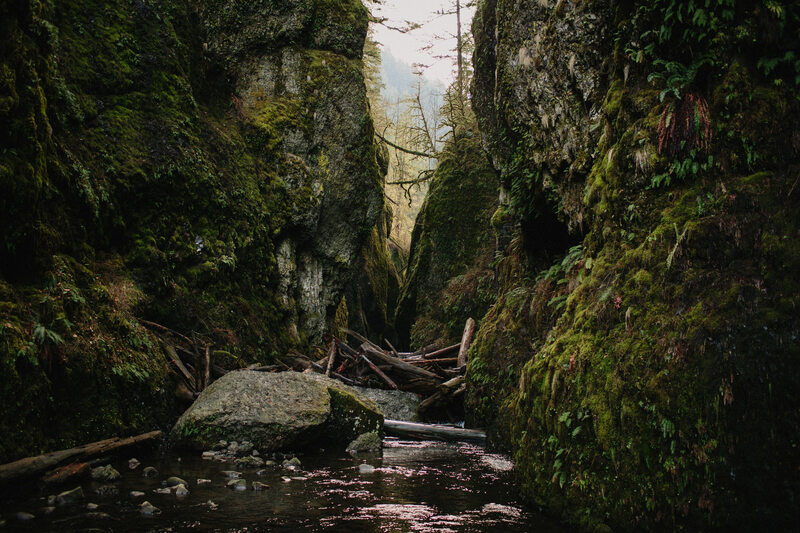 Here’s a handful images from the last few years of photographing amidst the beauty in the gorge.